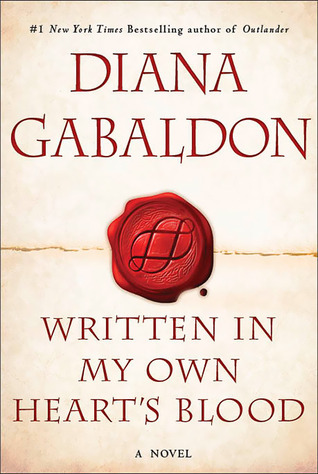 The first time I “read” Outlander I listened to Davina Porter’s unabridged narration and loved it. 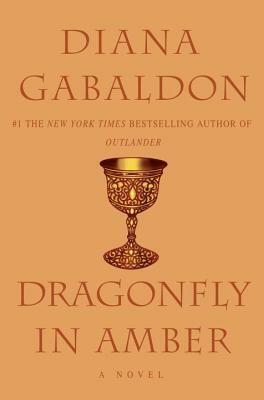 I read Dragonfly in Amber the first time and was disappointed. It was good but it wasn’t as good as Outlander and parts were honestly irritating. When Claire and Jaime reach France the court intrigue and sexual interactions started to grate. There is a lot of drama between Jamie and Claire but also regarding their ability and decision to sway the capricious Bonnie Prince Charlie. The sexual interaction felt excessive and while Gabaldon was just as detailed in various liaisons in Outlander it felt like it didn’t take anything from the story. This is a romance absolutely, and I don’t snub romances, but the level of storytelling wasn’t as strong as in her previous book. I tried to reread it because I felt I had missed parts of the story but gave up – because I wasn’t paying attention and just could not get through it. I thought if I listened to Davina Porter’s interpretation it would be better. It was, but not as much as I hoped. I was able to finish it and got the information I needed, but it’s just not as good as some of Gabaldon’s other books. This is what I will say. Some parts are fantastic, others you just have to get through. You do, however, have read this so you can enjoy her other books. Davina Porter improves the experience and I would say the audible version is the way to go. *Just so you know, the third book Voyager, is totally worth it. My review is more of a three and a half. This sequel to the Discovery of Witches is very different from the first and may be a bit difficult for readers to get into. 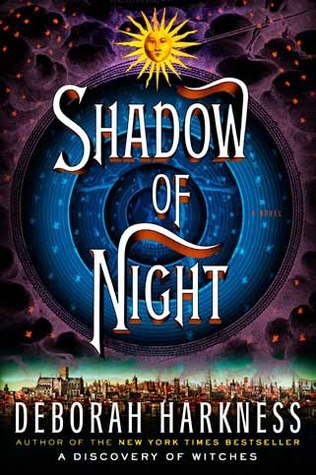 The first half spends a lot of time getting to know Matthew’s, now Matthew Royden’s, friends in the School of Night. It also spends a lot of time with Matthew and his friends acclimating Diana to what it means to be female in old England. The beginning is hard to stomach for those of us who got used to a strong Diana in A Discovery of Witches. She is not strong in the beginning, partially because she is learning her surroundings from Matthew which reinforced the strong gender roles of that time, the second reason is Matthew’s friends don’t spend a lot of time with women. Diana does reassert herself later, but it grates on your nerves, and quite honestly I think it is meant to. The problem with this is there is so much of the history of old england and gender roles it may turn off some readers before they get to the part where she finds her place in old England. The other problem is for all the set up the history seems a bit basic for Harkness’s level of knowledge. When Diana goes to France and meets Philippe, Matthew’s father, it gets much better. It’s intriguing and Diana finds her voice. Diana’s study of magic with the witches of London is likewise fantastic. It is a good book. Get through the first third of the book, you still have to read it for reference to the rest of the book, but it is worth it. I read this the first time and waited to write a review because I felt somewhat disappointed. This I’m sure is partially my fault because I was so excited for it. I listened to Jennifer Ikeda’s version recently to try to see if with time I could give it a more fair review. Jennifer Ikeda does a fine job though I did not like her voice for Gallowglass at all. She does not take away from the story, however. I have to say the book is much better after having taken some time. I love the appearance of her father, her interaction with the London witches, Philippe and Diana’s relationship. There is much to savor. It is a good read and I look forward to the third.